n South Korea’s behalf. As far as American officials were concerned, it was a war against the forces of international communism itself. After some early back-and-forth across the 38th parallel, the fighting stalled, and casualties mounted with nothing to show for them. In all, some 5 million soldiers and civilians lost their lives during the war. 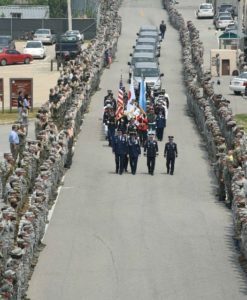 After 65 years, the remains of an unknown number of US soldiers killed in the Korean war have been handed over by North Korea. About 7,700 US soldiers are listed as missing from the Korean war, and 5,300 of the remains are believed to still be in North Korea. 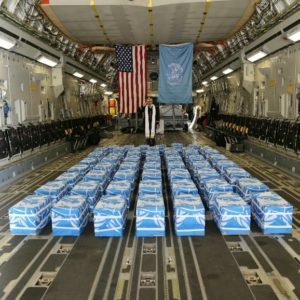 Between 1996 and 2005, joint US-North Korea military search teams conducted 33 recovery operations that collected 229 sets of American remains. The last time North Korea turned over remains was in 2007. The war killed millions, including 36,000 American soldiers. 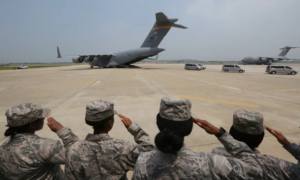 Pyongyang (Capital of North Korea) had been expected to return about 55 sets of remains from the 1950-53 Korean war, a step meant to fulfil a commitment made by Kim Jong Un (Leader of North Korea) during his summit with Donald Trump in June. 2018 marks the 65th anniversary of the armistice that ended fighting in the Korean war. North Korea celebrates it as the day of “victory in the fatherland liberation war” (https://www.theguardian.com/world/2018/).